The workbook will guide you through the video lesson and give you the opportunity to participate in the lesson through fill-in-the-blanks as well as take notes. The workbook will become a quick reference guide for you in future communication – look through your completed workbook from time to time and freshen up on the information from the video. 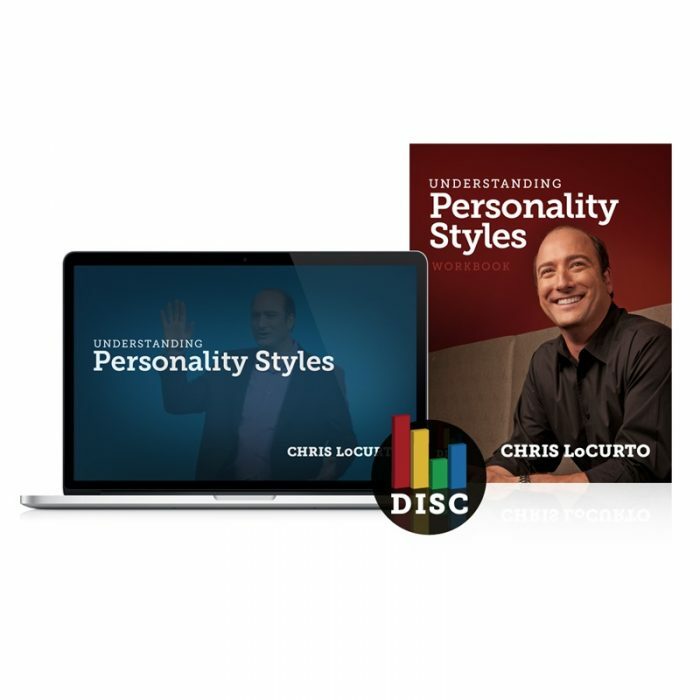 Chris does an outstanding job of explaining the different personality styles as well as how to properly recognize and communicate which each one differently. I can’t wait to share this with my entire team! Awesome video on personality styles! We use this with every new hire and go through it with our team annually to keep us all on the same page and continue to improve our team communication. Chris does a masterful job of presenting this content in an enjoyable and educational manner. Pick up something new every time I watch it! If you feel scared or unsure about implementing this in your business, then this video will help alleviate that fear. It takes a complex topic and gives you a roadmap to get quality communication among your team. Great Job! We had all of our therapists and office staff watch this video after completing the DISC personality assessments and we all loved it! This is a must-watch if you complete a DISC assessment! It helped all of us understand each aspect of our personalities and apply the information to real-life experiences that are very practical. What we loved most about this video is how entertaining it was- a fun team building activity that we could all relate to! If you want to understand how different people work and mesh together, you must watch this video. Thru his great teaching style and real life illustrations, Chris does an outstanding job of making each personality style come to life.It was almost canny how while I was watching the video, I was immediately able to identify everyone of my team members. My team enjoyed watching the video together and learning how their personality styles affect each other. We plan to continue to use this video for team training. It is my belief that everyone who is in a position of leadership or is working together with multiple people in a team, should take the time to watch this video. Each new applicant at our firm is required to take a DISC so that we can determine if they are a good fit for our team and the role for which he/she has applied. Often, our applicants wonder why this is so important. It is awesome that I can just direct the applicant to this video so that he/she can see how each personality style affects the team dynamic. We watch it again as a team about once a year, usually at the beginning of our retreat to remind all of us about communication styles of the different personality styles so that we can all have high levels of quality communication through the process. If you have not completed your DISC profiles or watched this video, you need to. This the the best video on personality styles out there! We use is with every new hire and go through it as a group to make sure that we have great communication. I have tried other sources and this one is by far the BEST out there. Chris is able to get the information across in a clear and concise format that is both entertaining and educating. This video, coupled with the DISC profiles for our team are an invaluable resource. As a leader, I’ve been able to be better in tune to the needs of the team and able to empower them in ways that highlight their personality strengths. I’ve also given my profile to the team. It’s made a huge difference in how we work together. Do the DISC. Watch this video. Get your entire team on board. You’ll be glad you did. Awesome video! Chris does a great job of explaining how to communicate based on personality styles. I’m lovin’ this video! It sheds so much light on tensions in communication. Your illustrations are what make each personality style ‘click’ when I’m watching it, because I immediately can put faces to the personality style you’re illustrating. You nailed it! !